7885 Sherry Creek Road Worden, IL. | MLS# 18053731 | Legacy Realty and Auction (618) 717-0800 - MetroEast Illinois Homes for Sale, Property Search for MetroEast IL and homes for sale. $10,000 Flooring Allowance!! Motivated seller ~ make offer! Cross over the bridge to your private wooded paradise! This setting made ME want to move! 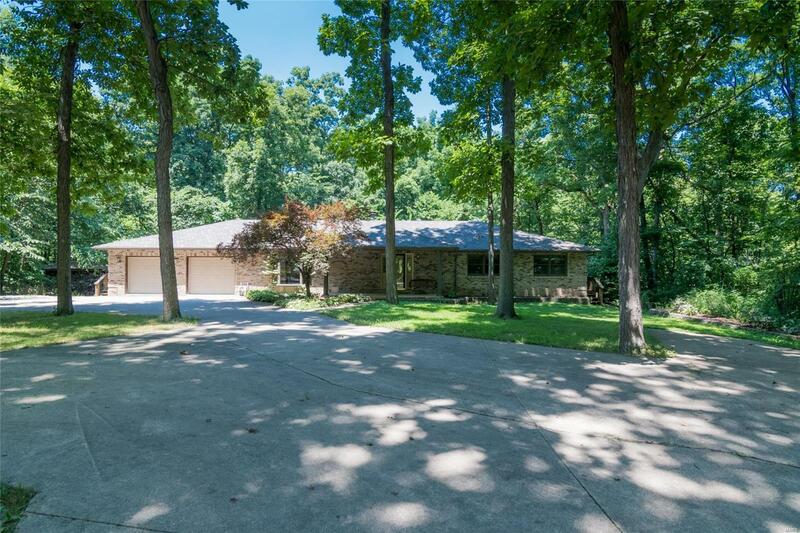 Full brick 5 bed/4 bath home on 5 wooded acres. Expansive deck across the back of home. 2 pole buildings (both 30x48 w/OH doors) Clubhouse on acreage for the kids w/cedar interior, electric and insulation ~ don't forget to check it out! Home has new roof, newer water heater, and new high efficiency furnace but who need it when you have a wood burner that heats the whole home & water!?! Large eat in kitchen with 5 x 10 pantry, master suite on man and lower levels! Hot tub included. Too much to describe it all... Come take a look! Additional 5 acres available. Owner is offering a $10,000 flooring allowance!